Permanent life insurance is a type of life insurance that can stay in force for your entire life, as long as you pay your premiums in full. Permanent life insurance usually, but not always, builds cash value for you that you can use for expenses later in life. On the other hand, term life insurance is only in force for a specified amount of time: usually 10, 15, 20 or 30 years. At the end of the term, your coverage expires and you will need to either convert your policy to a permanent life insurance plan (if available) or purchase a new policy for a new term. The advantage of term life insurance is that it's somewhat less expensive than permanent life insurance. The answer depends on what you’re trying to accomplish by having a life insurance policy. Are you insuring your life so that when you pass away your children will be able to go to college and your spouse will be able to pay off the mortgage? These are temporary concerns and so a temporary form of life insurance - term life - is best suited to address them. However, if you are concerned about providing income to a widow or widower for life, funding retirement, or passing wealth to a future generation then you will find that permanent life insurance is better suited to address these goals. Always ask yourself why you need your life insurance policy. If it’s for a temporary goal, then term insurance is probably best. If it’s to address a long-term need or concern, then it’s time to start looking at permanent policies. Disclaimer The security of all information associated with our users is an important concern to us. We exercise care in providing secure transmission of your information from your computer to our, and our affiliates', servers. Unfortunately, no data transmission over the Internet can be guaranteed to be 100% secure. As a result, while we strive to protect your personal information, we cannot ensure or warrant the security of any personal information you transmit to us or from our online products and services, and you do so at your own risk. Once we receive your transmission, we, including our affiliates, use industry standard efforts to safeguard the confidentiality of your personal information, such as firewalls and secure socket layers. However, "perfect security" does not exist on the Internet. 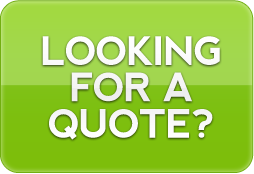 The insurance premium rate quotes provided to you through this website are for pricing comparisons and quotation estimate purposes only. The insurance rate quotes provided are based on the information you provide us and general assumptions that may or may not be applicable to you and are subject to change at any time. These rate quotes do not constitute an offer of insurance, nor is any contract, agreement, or insurance coverage implied, formed or bound by the provision of rate quotes. Insurability, final insurance premium rate quotes and an offer of insurance, if any, will be determined by the insurance company or agency providing your insurance policy. You must contact our independent agent directly to obtain a quote for binding purposes. © Copyright 2019 Tri-County Insurance Agency. All rights reserved.